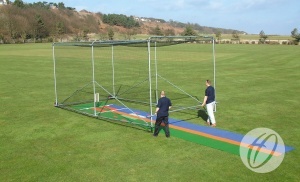 The Premier freestanding cage can be wheeled by 2 people after attaching the front lifting handle. 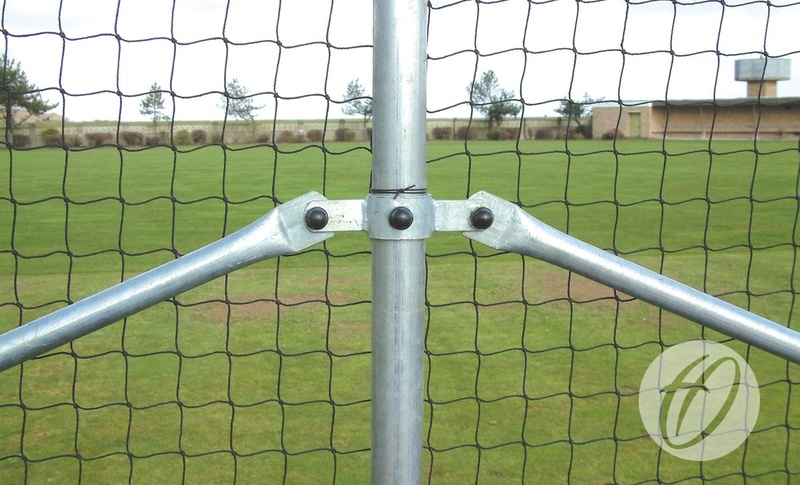 It is recommended that the lightweight aluminium option is securely anchored using the supplied pegs at all times. Surround and roof netting joined for ease of installation and safety. Detachable front lifting handle also prevents unauthorised play. 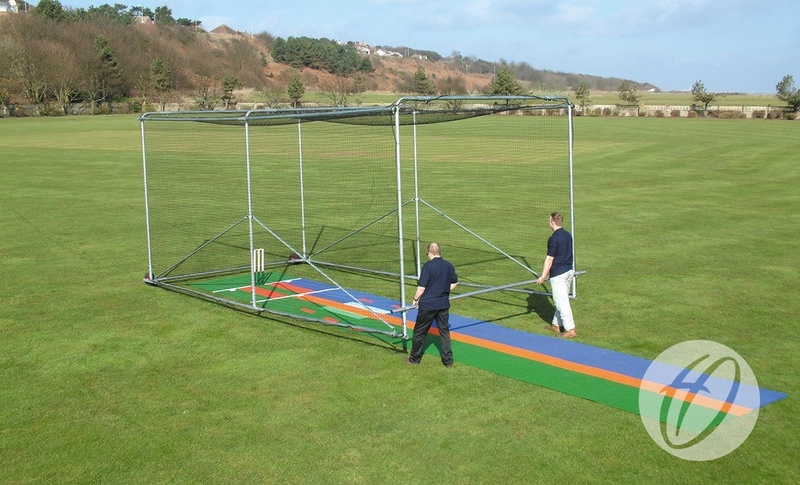 Size 3.2m H x 3.6m W x 7.2m D.
50mm diameter uprights and toprods in aluminium. Heavy duty 60mm steel fixing joints. 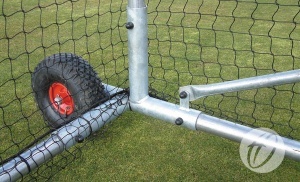 Diagonal steel supports for added stability. Two cellular fixed rear wheels. 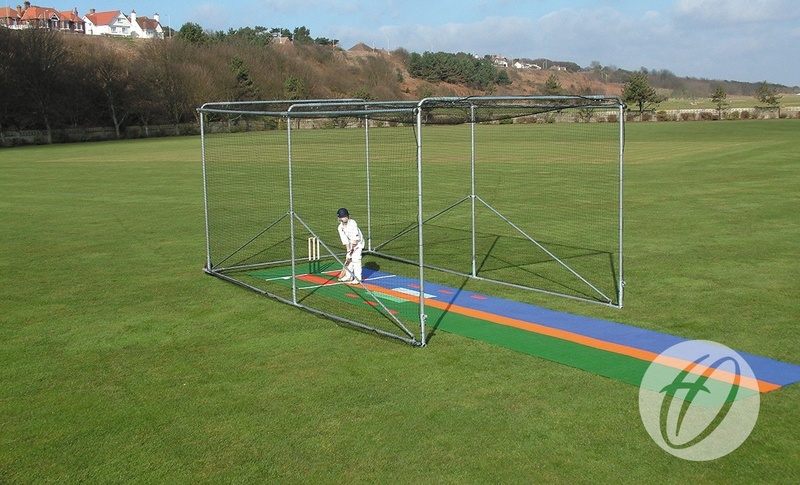 Supplied complete with 2mm thick black polypropylene netting. 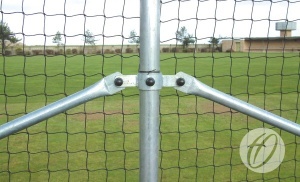 Complete with 4 'U' Peg anchors.